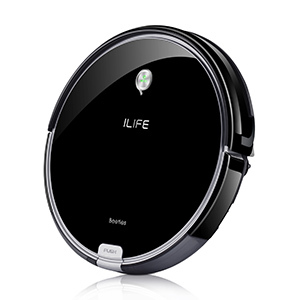 ILIFE A6 introduces the advanced Gen 2 CyclonePower 3-stage cleaning system and the 10X suction by Gen 2 motor easily picks up dust, pet hair and large debris like cereal. With a super thin 2.8 inches body design A6 can perfectly fit under most furniture, like beds and sofas. 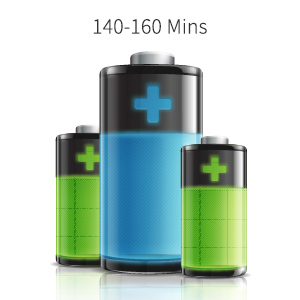 The best performance with 160 minutes working time Li-on battery ever is specially designed for large home. 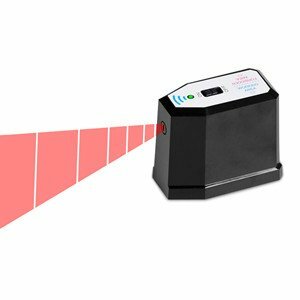 Better detection capability ensures ingenious reaction to drop and obstacle in additional to a more customized cleaning plan. The gen 2 CyclonePower 3-stage cleaning system provides a thorough clean for homes. The advanced spinning side brush sweep debris into the path to catch dirt and dust hiding along the walls. 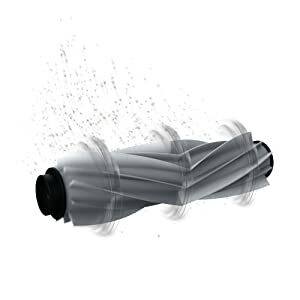 High-grade spiral brush extracts dirts hard to clean, and the powerful suction absorbs the rest. Together it ensures nowhere for dirt in hard to reach places. Large dirt bin with ultra performance filter prevents the filter from clogging to maintain powerful suction for a long time and in addtional to the extra large RoadRover wheels, crossing obstackes from room to room become more stable and easier to delivery you everyday’s cleaning. With deep cleaning BladeAway spiral blad rubber brush, it not only has the high-powered dirt pickup capability and all floor surfaces tasks handled, but also it solves the toughest issue caused by tangled brush that most robot vacuums faced. The only 2.8 inch lower profile body with the tempered glass top cover,and covering the jet black finish, presents you is so elegant,slim and indeed black. 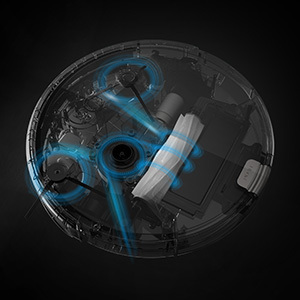 With the Q shaped LED breathing indicator, A6 is not only a cleaning partner, it’s like a friend at home. recharging to extend the lifespan of battery. The advanced dual mode Electrowall creates an invisible barrier that A6 won’t cross. That makes it easy to confine A6 to a particular room or area, and prevent it from getting too close to anything delicate or dangerous. It is away from ones by blocking openings of up to approximately 10 feet create a halo of protection around itself.